After the successful 45th edition of the Central American & Caribbean Bodybuilding and Fitness Championships celebrated in Mexico City, the CACBBFF approved to host the 2019 edition in the beautiful and historical Caribbean country of Puerto Rico. Led by its president, Mr. Carlos Díaz, the Puerto Rico Bodybuilding Federation (FFPR) was participating at the recent 2018 CACBBFF Championships, with an outstanding team composed by 20 athletes and officials that achieved excellent results. More information about the 2018 CACBBFF Championships will be published in the next issue of Muscle & Health magazine. 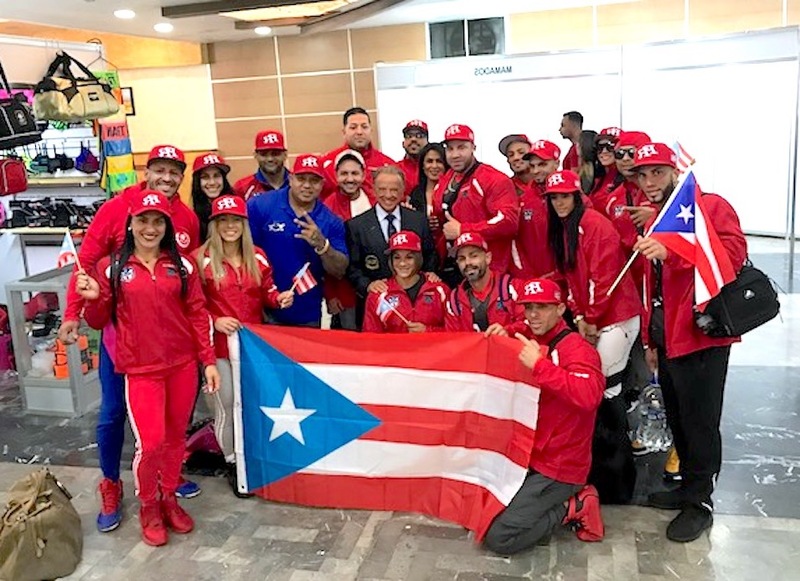 Picture: Puerto Rico National Team, with FFPR president Carlos Díaz and officials, joining IFBB President Dr. Rafael Santonja, in México City.